Any companies still wanting to attend the Engineering Career Fair on 2/26, can email Ms. Coleman at colemanc@uta.edu up until 3pm on 2/25. Walk in companies are allowed the day of the fair. Please come to employer registration at the Maverick Activity Center, 500 W Nedderman Drive Arlington TX 76013. We will do our best to accommodate late companies. The UTA College of Engineering Career Fair brings together promising engineering students looking for full-time or internship/co-op positions and employer representatives with positions to fill! Meet students pursuing degrees in these areas! Employers wishing to hire full-time engineers or interns are invited to register for this event. 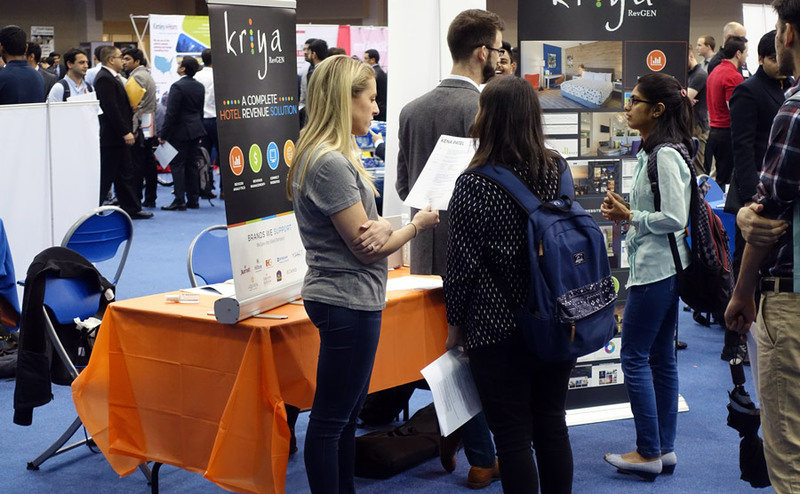 Hundreds of engineering students and representatives from dozens of companies looking to hire the next crop of outstanding engineers gather the UTA College of Engineering Career Fair each semester. Employers, find your next intern or co-op or fill an open position. Students, take the first step to a long and rewarding career as an engineer.